Humane Tomorrow is a non-profit 501(c)3, all volunteer organization dedicated to the rescue and placement of unwanted and abused animals in North Texas. 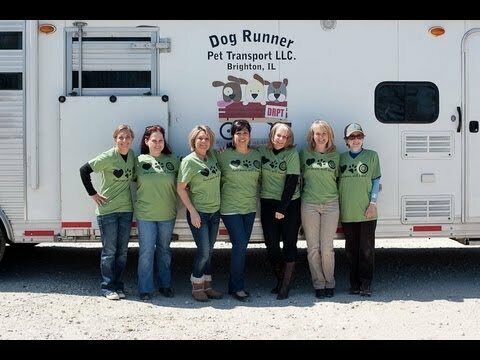 We are also committed to spay/neuter assistance and education to companion animal guardians. Humane Tomorrow is dedicated to promoting a respectful, responsible, and compassionate relationship between animals and people. Humane Tomorrow has placed over 10,000 animals since 1997. Humane Tomorrow (HT) was started in 1997 and has become one of the most respected humane organization in North Texas because of our innovative and comprehensive approach to animal rescue and welfare. Animals awaiting adoption are placed in foster homes with families to care for and get to know the animals so that ideal homes can be identified. Every animal adopted through Humane Tomorrow is fully vetted, altered and treated for heartworms and other often costly ailments or injuries. HT makes a lifetime commitment to its animals and their families. HT is focused on keeping animals out of the shelter system as well as placing those in need of new homes. In addition to an adoption program and a spay and neuter assistance program, Humane Tomorrow is committed to character education for the youth in the area, has dedicated resources for people facing relinquishing pets over medical costs and pet deposits, as well as a successful transport program to get animals out of Texas and adopted quickly in New York. Humane Tomorrow's network of volunteers and partners is ready to spring into action quickly in response to situations in which animals may be endangered. These can include seizure of animals from a hoarder or a natural event such as a hurricane or tornado. Since its founding 21 years ago, HT has found homes for over 10,000 animals, and this has been accomplished by its all-volunteer team. The first $2,500 we raise on North Texas Giving Day will be allocated to our Flower's Fund, a lifesaving program that assists pet owners with unexpected veterinary costs, pet deposits, and other expenses-keeping animals out of the shelters and in the homes that already love them.